We’ve got another trio of updates from Ben Conde on his travels around Asia. We love this guy! The king of Thailand has died, and Ben is trying to get to the Bangkok airport while the entire country mourns and heads towards the palace…which is right where Ben is staying. Will he make it to the airport? Ben Conde tries to get to the airport in Thailand. Ben Conde meets up with Ben McPhee in Angkor Wat and they find some people who make learning yoyo look easy with the YoYoFactory One and YoYoFactory Whip yoyos. Ben Conde and Ben McPhee find some people in Angkor Wat who make learning yoyo look easy. Conde & McPhee race to the top of an ancient temple to get some footage with the YoYoFactory Flight. Who will win? Ben Conde and Ben McPhee race to the top of a temple in Angkor Wat to film with the YoYoFactory Flight yoyo. Join YoYoFactory’s Tyler Severance, Clint Armstrong, and Ben McPhee as they visit and perform for a school….located at the bottom of the Grand Canyon! This epic video shows off YoYoFactory at their best…bringing yoyoing to everyone they can, and finding adventure everywhere. 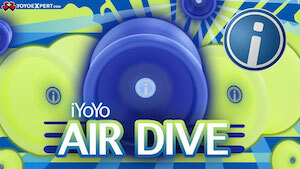 YoYoFactory has a goal of spreading yo-yo. Often there are commercial aspects that must be taken into account for this to be sustainable (i.e. we need to make money to be able to afford to do it in the future). In the middle of 2014 we reached a cross-roads. We weren’t doing it right. We faced a change. In the face of this we decided to go back to our roots. Take yo-yo to the people. We considered somewhere exotic, perhaps a sparsely populated island? Maybe on top of a high mountain chain like the Andes? How about a tribe so remote the mail is still delivered by mules…. a mere 5hrs from our office? Supai Arizona was this place. Its beauty contrasts by the difficulties facing its residents who despite their isolation (6hrs by mule to a car which is hrs again from any significant town) are right in the middle of everything wrong with the modern age (diet, fashion and media expectations). These kids grow up in a fishbowl which is funded by tourists who walk through looking into their lives on their way to see the areas most precious resource; the blue water that cascades over some of the most beautiful water falls in the world. The Crew was built around our pro, Tyler Severance. Clint Armstrong came in as pro #2, Reece Schofield came as our web designer/camping support/ /r/throwers moderator. We set off at 3am, getting to the cliff top at 8am. The route down was either a 6hr horse ride, 8hr hike or 10min on a helicopter…. yes we took the chopper. Checkout the visuals from our adventure! Sometimes things get a little slow around the office at YoYoFactory…so might as well turn on the camera and catch some tricks from the insane amount of talent hanging around! Yoyo used is the Northstar (Aurora Borealis) by YoYoFactory.